-----This is the “sequel” to All’s Fair in Love, War, and High School but it follows a different character. I found this book absolutely delightful. I was expecting certain things to happen and then Woah! Twist! It didn’t happen like I expected. Sometimes this frustrated me but in a good ARGH-I-want-to-find-out-what-happens-next way. Plus, I was totally able to relate to the main character having an annoying sibling. And I realized that my siblings weren’t as bad as I thought. 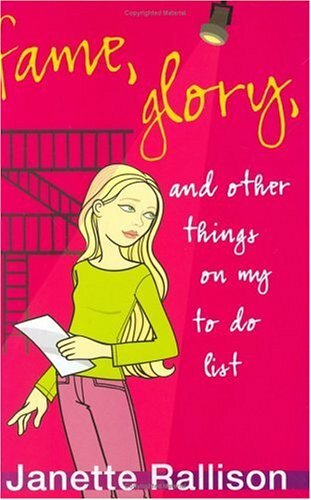 -----Reason why I loved this one so much was because the main character was an actress, and so am I. I was able to connect to a ton of things throughout the book, and I even learned a bit about acting! ‘Course, the main character wants to be a screen actor and I have no interest in that. 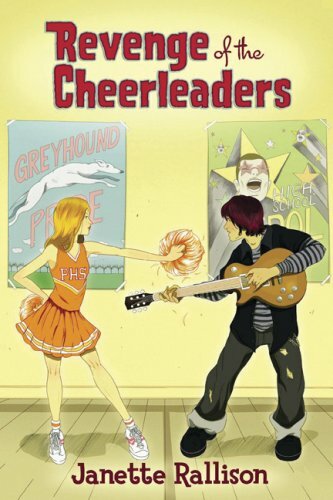 But it focuses mainly on a high-school musical (not the Disney one) production and I have a TON of interest in that. Plus it had the same good feeling that all of Rallison’s books produce. All in all I’ve discovered that whenever I’m in a reading slump, or just a general slump, I pick up a Rallison. They always make me smile. Would you recommend one of her books as a particularly good first Rallison? I love Janette but (gasp) haven't read any of her books yet. I just bookmooched the second one you reviewed (because, for obvious reasons, it intrigued me most) so I can't wait to read it! Cuileann, I would say that All's Fair in Love, War, and High School is a good first Rallison.